PARTY PEOPLE AROUND THE WORLD!!!. WELCOME!. So great to be here, and THANKS for listening!. This is my latest radio show as heard earlier on Virtual DJ Radio's Club Zone. It's all for you, fresh from the cooker!!!. This set has EDM blends of Club House, Commercial House, Dance House, and Future House, perfect to start your evening (125-126bpm). While you're here, take a moment to show some love by favoring, sharing, reposting, or even better, by dropping a comment. I read all of your posts. Tell me where you're from!. 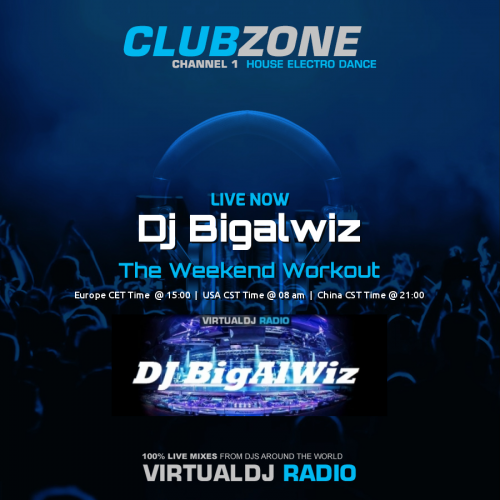 Never miss another set again by clicking the Follow DJ BigAlWiz button!.